Sumitomo Chemical acquired CDT back in 2007, and since then the Japanese company has been developing it's PLED (polymer-based OLED) materials and technologies. 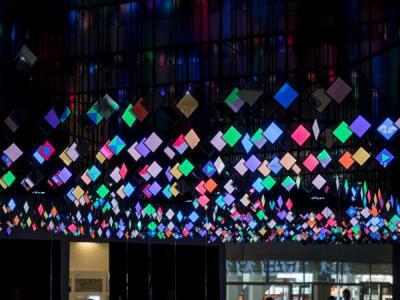 While initially Sumitomo aimed to produce materials for displays, in recent years it has focused mostly on OLED lighting materials and even panel production. A noted exception was Panasonic's OLED TV development project which used printing technologies and Sumitomo's PLED materials. But Panasonic terminated this project in 2013. We speculated that JOLED, which is based on Panasonic's technology (and other technologies as well), uses PLED materials in its prototypes, but we were not sure. A recent post at the Nikkei suggests that that Sumitomo is now actively promoting the use of PLED materials and ink-jet printing processes for the production of OLED displays. In fact the Nikkei states that JOLED indeed uses Sumitomo's materials. The Nikkei further reports that Sumitomo succeeded in developing new materials and technologies that finally enable commercial display production - and that the company says that using its technologies and materials will enable to cut production costs by 50% compared to evaporation materials and processes. Specifically, Sumitomo recently introduced new materials and a new ink-jet printer (Sumitomo has a long-standing ink-jet printing project, although it is also collaborating with Kateeva). Sumitomo offers these new solutions to LG Display - and the Korean display maker may adopt these for mass production by 2019. 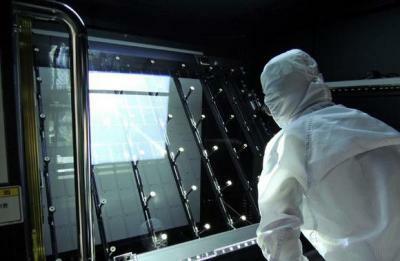 It will be very interesting to hear the performance of Sumitomo's latest OLED emitters. 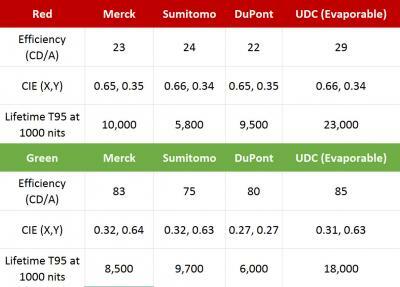 In February 2016 the OLED Association released the emitter performance of Merck, Sumitomo, Dupont and UDC, and the lifetime and efficiency of the PLED mateirals were still lagging behind UDC's PHOLED emitters. Presumably relates to Sumitomo - CDT was advertising green as being up to 92 Cd/A and T95 of 17,000 hours on handouts at the Lope-C conference earlier in the year. Red was up to 28 Cd/A and a different green at 112 Cd/A but no T95 data for these was given.